Granite Counters, Newer Laminate Floors; Update Baths. Full Rear Fenced. MLS#21618833. F.C. Tucker Company. Thornhill - 2 Nhood entrances (334 & Ford Rd) make interstate access a breeze! Hurry over! MLS#21618369. F.C. Tucker Company. Hunt Club Village - Neighborhood walking path connecting to the Zionsville Rail Trail. Newer roof, siding, HVAC. MLS#21618053. CENTURY 21 Scheetz. 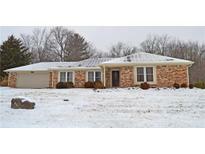 Les Arbres - Enjoy outdoor living on the screen porch or huge paver patio with hot tub & built-in fire-pit MLS#21616791. CENTURY 21 Scheetz. Serene Setting, Yet Close To Town. Zville Schools. MLS#21615337. F.C. Tucker Company. 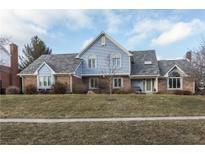 Pleasant View Elementary, Zionsville Middle School MLS#21615305. Carpenter, REALTORS®. Hunters Ridge - Home located in one of the best locations in the neighborhood, close to parks, shopping and the interstate w/ easy access to downtown Indy and Chicago MLS#21614717. F.C. Tucker Company. Zion Hills - See it now! Dreams do come true! MLS#21614760. RE/MAX Ability Plus. 4th bedroom serves as great den, open to hearth room. MLS#21613043. CENTURY 21 Scheetz. Acreage, location and character can be yours on this awesome piece of land. MLS#21613635. F.C. Tucker Company. Hurry in and make it yours! MLS#21613003. CrestPoint Real Estate. Cobblestone Lakes Of Zionsville - Close to the walking trail Walk to club house and swimming pool MLS#21610604. CENTURY 21 Scheetz. Austin Oaks - Enjoy timeless American style with wraparound front porch, covered side porch, paver patio & pergola on a quiet cul-de-sac lot. Walk to the neighborhood pool! MLS#21608232. CENTURY 21 Scheetz. The Willows - Impressive office w/ custom floor-to-ceiling bookshelves & French glass doors. MLS#21611953. Keller Williams Indpls Metro N.
The 3 pastures areas have new fencing and gates. MLS#21610207. F.C. Tucker Company. The Gorgeous, Tree-lined Setting Is Rivaled Only By The Home’s Beautifully Updated Interior & Numerous Amenities - Impressive Great room Superb For Entertaining with wet Bar, floor To Ceiling Brick fireplace, Beamed Cathedral Ceiling & Pool Access; Gourmet kitchen with custom-crafted Cabinets, Upscale Stainless appliances & Island/breakfast Bar Open To family room W/Limestone fireplace & floor To Ceiling Widows; Spacious Upper Level Loft & family room Leading To master Retreat with spa Bath; 3rd floor Office/Bonus room; Finished basement with recreation room, Wet Bar & Ex room; Main Level Guest Suite, New Roof & Septic 2018. 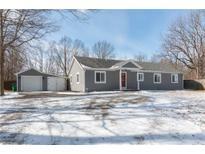 MLS#21610028. F.C. Tucker Company.